Determined to donate almost everything she owns before her life of grace and privilege ends, wealthy widow Cornelia Cunningham's plan hits a snag when an ambitious and ingratiating young man arrives to claim his alleged inheritance. Peppered with wit and warmth (and strains of Cole Porter), A.R. Gurney's delightful play paints an incisive and hysterical portrait of the trials of class, family, legacy, race and the power of a good story. 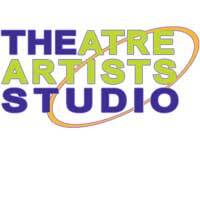 Enjoy Love and Money at Scottsdale's Theatre Artists Studio.